January has seen us reach a significant milestone by screening our one millionth 65-year old man as part of the NHS Abdominal Aortic Aneurysm (AAA) Screening Programme. 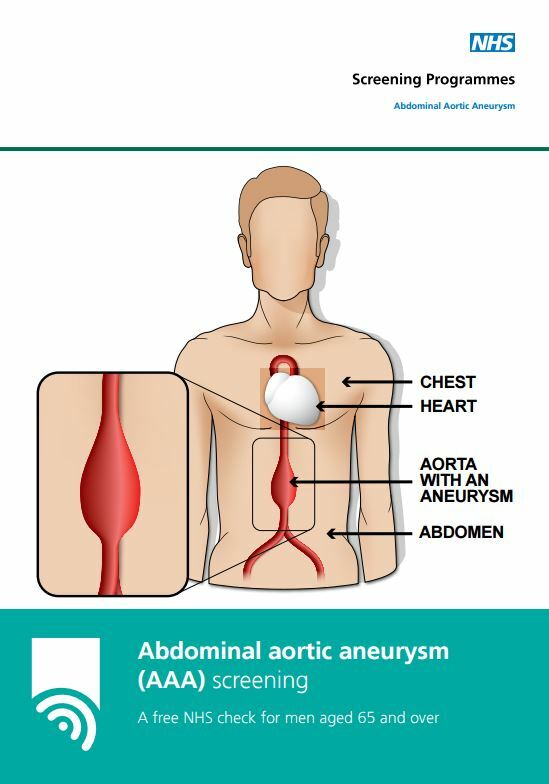 AAA screening detects any dangerous swelling (aneurysm) of the aorta – the main blood vessel that runs from the heart, down through the abdomen to the rest of the body. The national implementation of AAA screening, which began in 2009, has been a major public health success story that has prevented many premature deaths. The NHS invites all men for free screening during the year they turn 65. Women aren’t invited because they are six times less likely than men to have an AAA and current evidence suggests that the risks of inviting them for screening outweigh the benefits. AAAs usually cause no symptoms, but if they burst they are extremely dangerous and usually fatal. Around 8 out of 10 people with a ruptured AAA either die before they reach hospital or don’t survive surgery. Early detection is important because once identified AAAs can be monitored or treated, greatly reducing the chances of the aneurysm causing serious problems in the future. The ultrasound scan used in AAA screening is similar to that offered to pregnant women and usually lasts less than 10 minutes. At the clinic we check personal details, explain the scan and answer any questions the patient may have. The scan is very straightforward and involves the patient lying down and the scanning sensor device moved over the abdomen area. This shows a picture of the aorta on a screen and enables the aorta to be measured. Men are told their result straight away and a copy is also sent to their GP. If the abdominal aorta is not enlarged (less than 3cm) the man doesn’t ever need to be tested again. A small to medium aneurysm (between 3cm and 5.4cm) means the man needs regularly monitoring to check its growth. If a man is found to have a large aneurysm (5.5cm or bigger) then he is referred to a specialist within two weeks who will advise on whether they would benefit from treatment to reduce the risk of it bursting. How reliable is the scan? The scan used to find aneurysms is very reliable. No screening test can be completely effective but it is very rare for a man who has had a normal result to develop a large aneurysm. Sometimes the scan doesn’t show the aorta clearly enough and the patient will be asked to come back for another scan, usually on a different day. AAA screening does have potential risks as well as benefits. Around 54 out of every 10,000 men screened will eventually have surgery to repair an aneurysm and one of these 54 men will not survive the operation. How do men make their mind up whether to attend or not? We have a duty to provide information in a way that enables people to make informed choices about screening. This blog explains more about what we mean by an informed choice. We send an information leaflet out with every AAA screening invitation to men aged 65-year-old. We have also produced an online decision aid for men who need more help before reaching a decision. Since 2009, we have detected more than 11,000 aneurysms that need monitoring or treatment. It’s an amazing milestone and I’d like to thank all colleagues involved in the programme for their hard work in screening one million men in six years – it’s a great achievement we should feel proud to have contributed to, in particular the lives saved! If you have any ideas about how we can better support the public and health professionals to understand AAA screening and the choices that are available, please do let us know. Congratulations to the AAA Screening Programme on reaching this significant milestone. This event deserves high profile media coverage and it is important to stress the opportunity for self referral with appropriate contact information. I owe my life to the fact that screening at the age of 73 was made easily available to me locally and subsequent open repair surgery was swiftly and successfully performed. Thank you to all involved with the programme and every success for the year ahead. Women may be 6 times less likely to have AAA but I have a strong family history my grandmother grandfather and an aunt all died of this. I do feel vulnerable. Could you please clarify the statement " that woman are six times less likely then men to have an AAA " Does this mean that every seventh death through AAA is female? This I know is a very simple logic but unless you can actually give numbers of male deaths and female deaths this statement tells me nothing other than someone has decided that woman are to be left out of this very important screening. I'm very much in favour of men having this test and if anything I would be pleased if the screening age could be reduced as my own dear father passed away at the age of 52 with AAA. However I still do feel that women should perhaps be offered the same important scanning. Thanks for your comment. 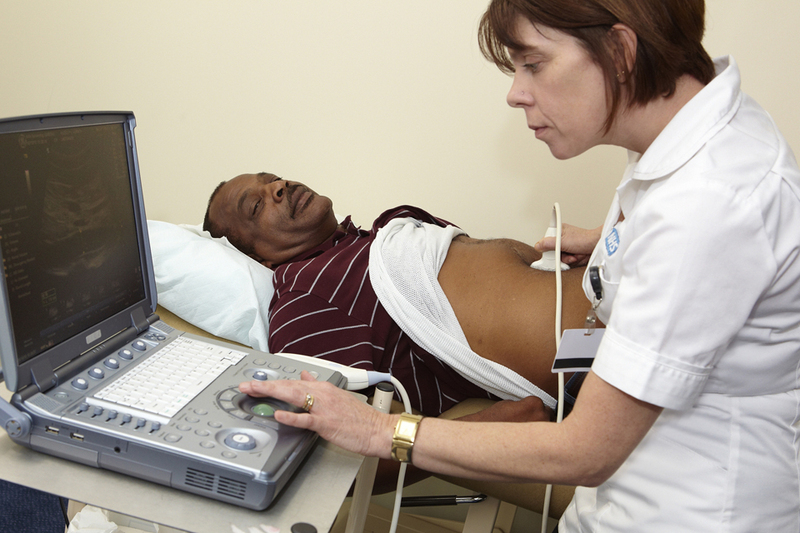 The NHS Abdominal Aortic Aneurysm Screening Programme targets men aged 65 and over because ruptured aortic aneurysms are less common in women and, on average, occur 10 years later than in men. There is currently no evidence to show that inviting women (or men who are younger than 65) for screening would deliver major benefits. However, the risk of developing an aneurysm is higher for individuals who have a close relative – brother, sister or parent – who has or has had one. Such individuals are advised to speak to their GP to request a referral for a scan at an age that is five years younger than their brother, sister or parent was diagnosed. Close relatives of men with an AAA should take the usual health precautions of not smoking, having a cholesterol and blood pressure check, and staying healthy. That is great to hear Sam. Thank you very much for getting in touch and sharing your experience. Women SHOULD be included in the aorta scan. My wife has just passed away suddenly because of an aorta dissection, and a close nieghbour also has one. Hers was found because she had a scan for a heart problem. Had my wife had a scan she might be still with me today. The Abdominal Aortic Aneurysm (AAA) Screening Programme does not screen women because ruptured AAAs are more common in men and there is currently no evidence to support screening women as part of a population screening programme. There are potential risks involved in AAA screening and currently these are thought to outweigh the benefits in terms of screening women. However, we are constantly reviewing the latest data and evidence and if the balance shifts in favour of benefits in terms of screening women, it is something we will make an updated recommendation on. I am aware this may not be of comfort to you, but I thought you would like to be aware of the reasons why women are not currently included in the screening programme. I was glad to read that some people have had benefit from the screening programme. The leaflets should be more open about the problem of false negatives, and I would wonder what the statistics are for false negatives. It would appear that the AAA screening is beset with the same problems as other screening programmes. Is Otley included in the screening? My husband, who will be 67 in December, has not been invited for screening. I am 72 and never been invited to attend a screening. Can I ask my doctor for a referral. I live in North Norfolk. I thought all area were in the programme. He can self refer through GP if he has been missed or needs a scan. I was extremely lucky on 13 August 2015 at the age of 63. I woke up in extreme pain invthe stomach and side. I thought initially "kidney stone" and initially the paramedic thought the same. Luckily one of the doctors in A&E realised without a scan what was going on, He also realised there was no time to waste and after informing my wife and I the enormity of the sutuation and in complete honesty told ys my chances weren't good I was taken straight to theatre Having a brilliant team of surgeons and nurses they saved my life as the aneurysm burst on the table and I needed 9 units of blood. Knowing nothing about AAA I have read up on it since. It us a hidden killer and most of that comes from misdiagnosis in the early stages! Nowadays I try to promote the screening programme to my peers via social media as I feel it isn't advertised enough. I believe the screening should be expanded to 60 year old (look at my age) and to men and women. Thank you with all my heart to the NHS and team who saved me. Hi, where did you get the statistic about men being 6 times as likely as women to die. I'd want to read it.